Shop our Website for Tea, Teaware and Tea Shirts! Send a Gift Certificate the old fashioned way - handwritten and sent through USPS First Class Mail! Find us at 89 Exchange St.
Over 100 authentic, unadulterated teas from producers and farmers we know. Visit our online shop for Tea, Teaware, T-shirts and more! Open 7 Days a Week once again! 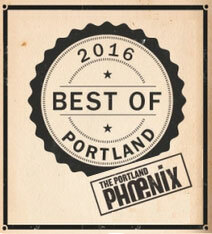 For use in our Portland tearoom - we'll mail them to your friends and loved ones. A rotating selection of artwork by local artists! Interested in carrying our premium, organic tea at your restaurant, café, hotel or coffeehouse?